At the halfway stage of the 12th edition of IPL, the Chennai Super Kings find themselves comfortably placed at the top of the table, having won 7 out of their 8 matches. Their only loss came against arch-rivals Mumbai Indians. In IPL history, only two teams - Mumbai Indians and Kings XI Punjab - have achieved this rare feat of winning 7 out of their first 8 matches. While MI achieved this in 2010, KXIP did it in 2014. Interestingly enough, both the teams ended as runners-up in those respective years. CSK will create a record if they manage to win their next match against SRH at Hyderabad on 17th April. 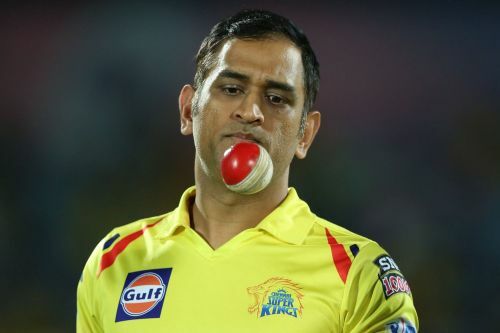 No other team has won 8 out of 9 matches in any edition of IPL and CSK are on the brink of setting yet another record. Having overcome SRH all four times the two sides met last season, CSK will definitely fancy their chances at Hyderabad. MS Dhoni's men need 2 more wins from their remaining 6 matches to ensure a spot in the playoffs. It is pertinent to note that 4 of CSK’s 7 wins have come in the last over of the match. They have found four different heroes in MS Dhoni, Dwayne Bravo, Mitchell Santner and Ravindra Jadeja in their last-over finishes. However, can they rely on late heroics every single match? For their next encounter against SRH on Wednesday, CSK should make 2 changes. Though Dhoni doesn’t normally change a winning combination, it is imperative for him to try out a couple of new faces heading into the business end of the season. Shane Watson hasn’t been in the best of form in this year’s IPL. In 8 innings, he has managed only 111 runs at an average of 14. Earlier, opposing teams used to open with spinners to keep Watson quiet, but this year it's been the pace bowlers who have troubled him the most. The fact that he no longer bowls has diminished his value to the team. In the absence of Shane Watson the bowler, CSK have struggled to rotate their 5 regular bowlers. This could prove to be dangerous moving into the business end of the tournament. Dhoni should opt for Scott Kuggeleijn in place of Watson to arrive at a more balanced playing XI. Kuggeleijn has been impressive with the ball in the 2 matches that he has played this season and he is no mug with the bat. He has been economical at the death with his hit-the-deck approach. 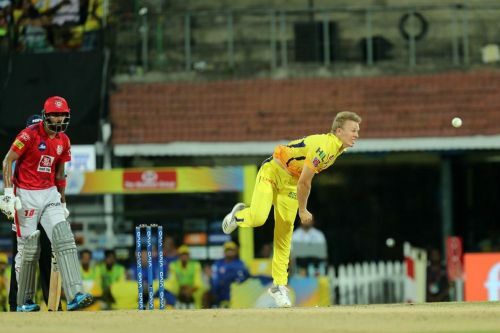 The presence of the Kiwi pacer at the back end of the innings would also allow Dhoni to bowl out Deepak Chahar in the first half of the innings where he is more comfortable and effective.